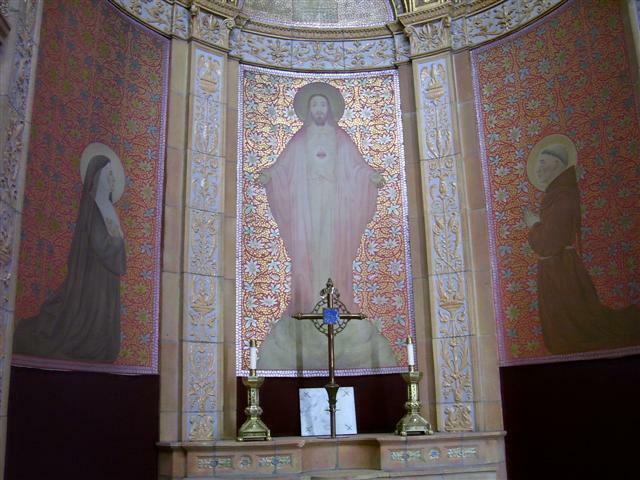 St. Margaret Mary Alacoque (1647-1690) is depicted on the left in this painting at The Sacred Heart Altar on the right side of our church. “Christ appeared to her in 1673-75 to request efforts to spread devotion to his Sacred Heart to overcome the ‘coldness, neglect, and indifference’ of so many people to God’s message of love revealed in Christ.” Although her name is unavailable, the model who posed for this painting of St. Margaret was one of the Sisters of St. Joseph who taught at Blessed Trinity School at the time. (Rev. Walter Kern’s Guidebook to Blessed Trinity Roman Catholic Church, page 28). *In response to requests from our players, we are instituting age restrictions for admission to Bingo. Beginning Thursday, October 15, we will no longer admit children under 8 years of age. Our Trinity Series opening concert, To Music, is next Sunday, October 18. The Vocális Chamber Choir presents texts in tribute of music – its beauty, power, meaning, and emotion. 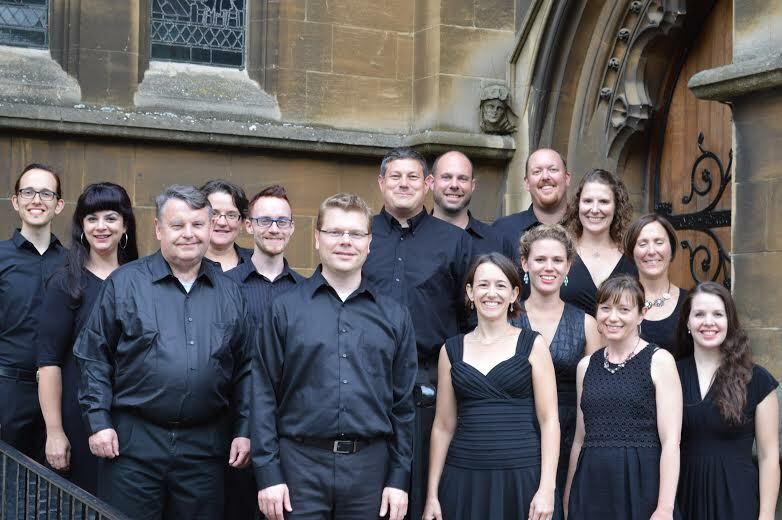 The a cappella choir, under the direction of James Burritt, will perform music of Vaughan Williams, Britten, Brahms, Lassus, McGlynn, Brubeck – and other surprises. Please join us for a celebration of the greatest of all art forms and help guarantee a successful 2015-16 concert season! The start time for this concert is 4 PM, which is an hour later than usual. Tickets are available only at the door, and are $15 for adults and $10 for students. Click HERE for additional information about the Trinity Series. Never mind the Bills, our Choir has “road game” at 5 PM on Sunday, October 25, and they are counting on support from you, their fan base. Together with Nick DelBello and his brass quintet, organist Peter Gonziarz, and the St. Joseph University Choir, choristers from Blessed Trinity and other church choirs will be performing at the Diocesan Choral Festival under the direction of Ron Martin. The gala is sponsored by the Church Musicians Guild of Buffalo, and you’re invited! Save the date: Sunday, October 25, at St. Joseph University Church, 3269 Main Street, Buffalo. The Parish Council is our host for Coffee Hour following Mass next Sunday, October 18. The next Parish Council meeting is Wednesday, October 21, at 7 PM in St. Charles Hall. World Mission Sunday ~ On Saturday and Sunday, October 17-18, we will celebrate World Mission Sunday. This year we are invited to support 1,150 of the youngest dioceses in Africa, Asia, the Pacific Islands, and parts of Latin American and Europe. Please keep the Missions in your prayers and be generous in next weekend’s collection for the Society of the Propagation of the Faith. Watch for Watches ~ Beginning on Saturday, October 3 and continuing through Sunday, November 8, the Ladies Sodality will be collecting old watches – with our without wristbands — for the Society of St. Vincent de Paul. The watches do not have to be in working order. They will be repaired or used for parts and sold in the Society’s thrift stores with proceeds used to further the organization’s charitable work. Here is a wonderful opportunity to “de-clutter” a dresser drawer, provide someone with a valued timepiece, and help the Society of St. Vincent de Paul in the process. Please place your donation in the “No More Mister Nice Watch” container near the statue of St. Joseph. Revival 2015 is this week, Tuesday-Thursday, October 13-15, at Ss. Columba Brigid, beginning at 6:30 PM each evening. The African American Commission of the Diocese of Buffalo presents “Revival 2015: Cast the First Stone.” Fathers Charles and Chester Smith, the first African-American twins to be ordained as R. C. priests in the United States, are the featured speakers. They are “filled with the Holy Spirit, and can’t wait to share it with all of us here.” Everyone is welcome, so invite your friends, neighbors, and family. If you’ve never attended the Revival before, pledge to come on Tuesday. We’re sure you will be back. Thursday evening’s program will be followed by a reception. Donations of finger foods would be greatly appreciated. 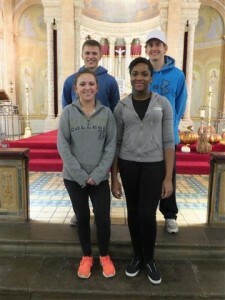 Canisius students, l. to r. (front) Peyton Richmond, Lota Ofodile; (rear) Luke Topolski, Michael Panzarella. Thanks to the wonderful Canisius College Community, which continues to include us in their Community Day volunteer projects. We are extremely grateful to Lota Ofodile, Michael Panzarella, Peyton Richmond and Luke Topolski, all members of the Canisius College Entrepreneurs Organization, who donated their time and youthful energies at Blessed Trinity on Saturday, October 3. The quartet washed the church floors and pews and even helped with emergency debris cleanup at St. Charles Hall. Thank you, Canisius, for coming to our aid once again. Updating Our Records ~ Thanks to all of you who completed the contact information form that appeared in the bulletin for the past two weekends. If you forgot, you can use the form at the bottom of the back page of the weekly bulletin to provide the following information: your name and preferred phone number; your email address; and, if applicable, your new mailing address. Alternatively, you may email the information to blessedtrinitychurch [at] gmail [dot] com specifying “Contact Information” in the subject line, or click HERE and use our handy template. Just remember to reference “Contact Information” when submitting information on-line. St. Joseph University Parish’s Social Justice Committee and Pax Christi of WNY are sponsoring a retreat on Saturday, October 17, from 8:30 a.m. – 3:30 p.m. Using the book, A Spirituality of Being Human by Hugh Brady, D. Min., the retreat provides a time to invigorate and restore our spirits on our individual spiritual journeys of confusion, grace and trial, by finding God and hope in ourselves and others. To register, contact Tom Casey at caseytpc [at] aol [dot] com or 716-491-9172. The retreat will take place in the school cafeteria and space is limited, so register soon! There is a suggested donation of $20, which includes continental breakfast and lunch. The Dominican Nuns of the Perpetual Rosary will hold their Bazaar and Rummage Sale at St. John Gualbert’s Parish gymnasium, 83 Gualbert Avenue, Cheektowaga, on Saturday, October 17, from 10 AM-5 PM. They offer handcrafted items made by the sisters, a craft fair, bake sale and more. Proceeds fund repairs and upkeep of the Dominican Monastery. To make a donation or for additional information, call 892-0066 or email monasteryworkshop [at] opnuns [dot] com. A Lecture on the 2016 Jubilee Year of Mercy will be held on Tuesday, October 20, at 7 PM in the main dining room of Christ the King Seminary, 711 Knox Rd., E. Aurora. Rev. Robert Schreiter will speak on “Discovering the Face of Mercy: Prospects for the American Church during the 2016 Jubilee Year of Mercy.” Father Schreiter, a leading author and international speaker, is a professor of Theology at the Catholic Theological Union in Chicago. The talk is part of the “Father Thomas Dailey Lecture Series in Christian Ethics and Spirituality.” No registration is necessary. Free-will offering welcome. Marriage and Annulment in the Catholic Church Seminar on Thursday, October 22 at 7 PM at St. Martha Parish, 10 French Road, Depew. The marriage of a man and a woman is revered by the Catholic Church as a vocation ordained by God. It is both a reflection of God’s love and a manifestation of God’s love in the world. But our hearts go out to the many good people who have suffered the tragic breakup of their marriage. Anyone who finds themselves in this type of situation should not fear the Church’s procedures. Rev. Robert Zilliox, JCL, from the Tribunal Office of the Diocese of Buffalo will speak about the Essence of Canon Law and the Sacrament of Marriage and he will explain the new procedures for annulments recently announced by Pope Francis. Many Catholics across the United States have welcomed Pope Francis’ annulment reforms, the most far-reaching in almost three centuries. All are welcome!